Time to start your engines! 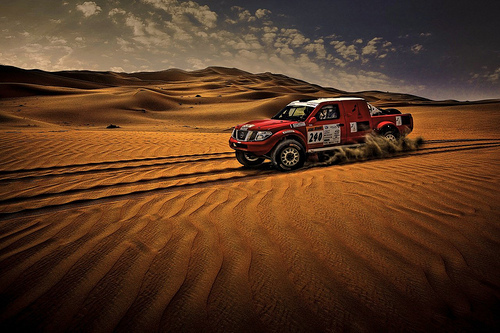 The annual Abu Dhabi Desert Challenge kicks off tomorrow and ends next Thursday. International teams will compete in four categories of motorsport racing through the formidable dunes of the Liwa desert: bikes, quads, cars and trucks. Over 100 competitors will race across 1,570 kilometers of the uninterrupted desert of Rub’-al-Khali, or the ‘Empty Quarter’. The event takes place near the luxurious Qasr Al Sarab Desert Resort by Anantara, which itself is plopped right into the sand. If you can’t make it to the action in person, Eurosport TV will be broadcasting all the action globally. We can’t wait to see which team leaves the competition in the dust! Literally. 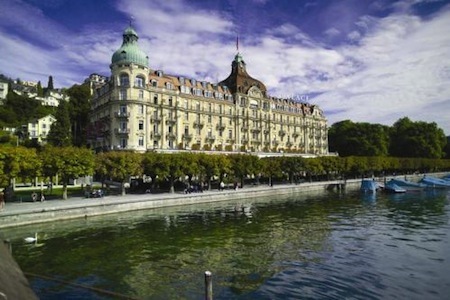 In conjunction with the renowned Lucerne Festival, Switzerland’s Palace Luzern is offering a two-night “Spa & Sounds” package, available for stays April 9-17. Designed to promote ultimate relaxation, the package combines five-star accommodations with massage, music, and a mobile device drop-off service! While enjoying Balinese massages, and festival tickets for performances of those chart-toppers of the 17 and 1800s, Bach, Brahms and Mozart; the “Spa & Sounds” package is as much about what you WILL hear as what you DON’T HAVE TO hear – namely, the unsoothing sounds of your cell phone. Bringing new meaning to the term “hands-free”, included in the package is Palace Luzern’s mobile device drop-off service. Simply hand your phone over to the hotel’s concierge on arrival, they’ll be happy to answer any phone calls and relay your messages. The annual festival has been in existence since 1938 and attracts a roster of major international orchestras, conductors and soloists to the Swiss city. View the complete program here. The “Spa & Sounds” package costs 1764 CHF based on double occupancy ($1,922 USD at time of release) and includes the details below. Guests can book the two-night offering between April 9 – 17. Don’t fret if you can’t make it this time; the offer will also be available in August for the Summer Festival and November for the Piano Festival (Prices may vary). Also on March 20th was the Iranian holiday Nowruz, or Persian New Year. Iranians welcome the new year by wearing new clothes and setting the Haft Seen, a table containing seven items that start with the letter ‘S’: sabzeh (freshly grown greens), samanou (a traditional pudding), senjed (jujube), seeb (apple), seer (garlic), somagh (sumac) and serkeh (vinegar). Nowruz has been celebrated for over 3,000 years on the day of the astronomical vernal equinox, the first day of spring for those North of the equator. 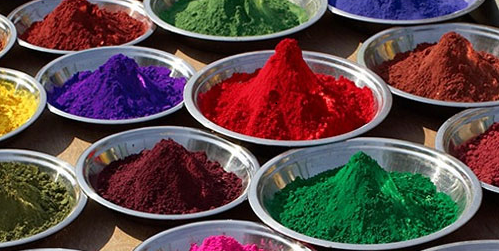 Wishing you all a happy Holi, Nowruz, and spring from us here at Alice Marshall! Park Hyatt’s twenty-fifth annual Masters of Food & Wine kicks off March 31st in Mendoza, and what better location to introduce the renowned festival than the heart of Argentina’s winemaking industry and one of the great wine capitals of the world? The ‘quaffability’ of Mendoza’s Malbecs and Tempranillo grapes come from vines planted at some of the highest altitudes in the world, at an average of 900 meters above sea level, which allows for decreased temperature, exposure to the sun’s strongest rays, and greater “thermal amplitude”—the difference between day and night temperatures. In most regions, grapes stop growing properly at around 1000 meters. The team at Bodega Catena Zapata winery has its own Research and Development program, which investigates various aspects of high altitude viticulture on the Malbec variety of grape. The result is a more intense, robust grape with colors, aromas and taste unique to the region—which we can appreciate, even without science. It’s a good thing we have nice things to say about Mendoza Malbecs, because these grapes are notoriously thin-skinned. Crystal Cruises ahora ofrece su entera 2011 formación de crucero (211-pages) como un Atlas lleno del español-Idioma. If you can read that sentence, it’s all you need to know…. If not, we wanted to share that Crystal Cruises is now offering its complete 2011 cruise atlas in Spanish. Crystal is the only luxury line to publish a full atlas in Spanish and they hopesto start a trend! 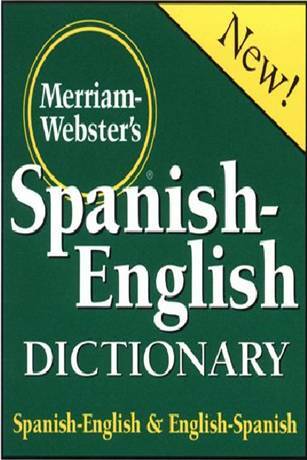 Crystal noticed a growing interest from 23 primarily Spanish-speaking countries, and hopes the new atlases will make it easier for native Spanish tongues to understand all of the details within a Crystal itinerary. Crystal prides itself on being the ultimate service-oriented cruise line– and the new publication extends its service to the millions of Spanish-speaking travelers worldwide. 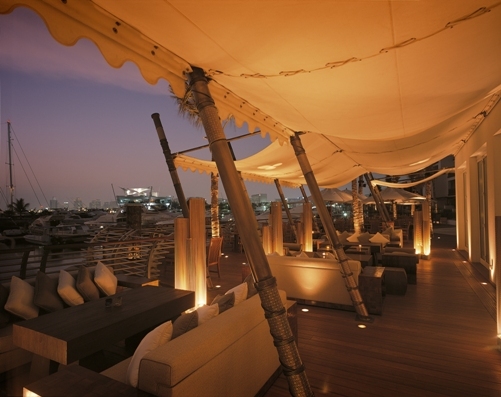 For a classic taste of Russia while looking out over the picturesque (and far removed) Dubai Creek, visit The Terrace at Park Hyatt Dubai this month. As a Happy Hour aphrodisiac, The Terrace raw bar offers a wide selection of caviar, oysters, and Balik salmon accompanied by more than 20 premium vodkas. Plates and pairings are served dialing from noon until 2 a.m. If you’re feeling slightly more Parisian, the Terrace will also continue its Organic ZwyerCaviar and Veuve Clicquot Champagne Promotion on Fridays and Saturdays in March. Guests may enjoy two complimentary glasses of Veuve Clicquot with every purchase of a 125g tin of ZwyerCaviar. The caviar comes from Russian and Siberian sturgeon, but is harvested exclusively in Uruguay. Bon ваша пища في دبي! Bali residents celebrate New Year Day, or Nyepi, in total silence as a way to start afresh, contemplate, and reassess one’s values in life. On this day, Baliense abstain from traveling, working, and all forms of entertainment. No flights depart from or arrive at the airport, the streets are closed to pedestrians and vehicles, and even street lights are turned off for the evening. Guests and travelers are expected to follow the same rules. 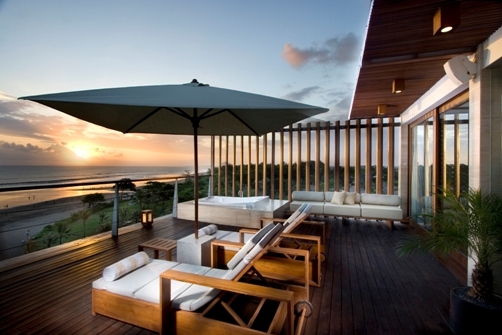 Anantara Seminyak Resort & Spa is a tempting silent haven. It will be easy to win the quiet game while relaxing in your Anantara Suite’s signature deep terrazzo tub or looking out at the Indian Ocean from the deck of an Ocean Suite. Don’t miss Anantara’s Thai Culinary Journey with a cooking class guided by Wild Orchid’s experienced Thai chefs, followed by a lunch of the students’ own creations. Spend a peaceful afternoon at the Anantara Spa with an expert therapist who will tailor a package according to guests’ needs, to be enjoyed in a single or couple’s treatment suites, each complete with private terrazzo showers or bathtubs, a personal iPod connection, and views of verdant tree tops and Mount Batukaru. Now that’s something to shout about. Chefs from six of Phuket’s top resorts will battle it out in a Top Chef meets Iron Chef showdown on March 25. The result will be a six-course dinner showcasing culinary talents of all the top toques, with one chef preparing each of the courses. For added pressure, the chef must also choose the wine pairing. Participating chefs are Justin Maiklem and Jimmy Karl of Anantara Phuket, Paresa Resort’s James Stanton, Thomas Smith of Sheraton Grande Laguna, Amanpuri’s Stefano Artosin, Silvano Amolini of Dusit Thani Laguna, and David Hamilton of Banyan Tree Phuket. 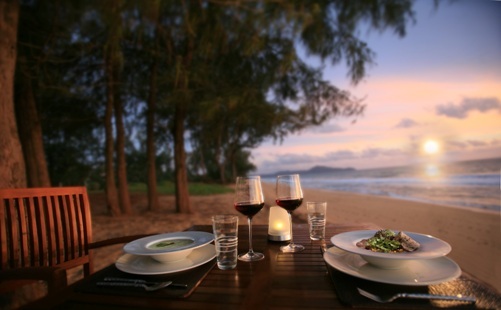 The dinner will be held along the beach at Paresa Resort and tickets are $130. All the proceeds will go to The Good Shepherd Sisters to assist underprivileged women and girls in both Phuket and around Thailand. We’ll eat a second helping to that!